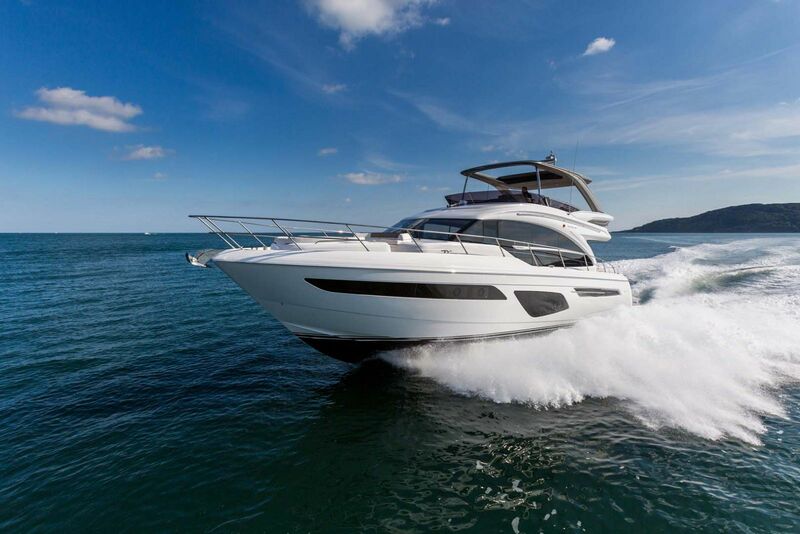 The new Princess V50 is the latest express model to be added to the popular V-class line and even comes in an open main deck layout should the new owner prefer that style. Following in the footsteps of its sibling, the Princess V40, the new V50 showcases a re-styled exterior that is both contemporary and classically Princess. Dynamic port windows allow in an abundance of natural light that gives the interior a more spacious feel while also providing excellent views regardless of the time of day. The deep V-hull is both a powerful statement in aesthetics, but also contributes to the smooth performance that all Princess V-class models offer. And with Volvo IPS600 engines powering the V50 to speeds up to 32 knots, that smooth performance also becomes quite exhilarating if you're the captain. The two main exterior socializing areas on the V50 include the cockpit and the bow lounge. The hydraulic swim platform is a wonderful place to lounge by the water and has two sets of stairs that lead to the cockpit. Wrap-around seating and a teak table make up the layout of the cockpit which flows nicely into the eloquent interior. The main deck of the Princess V50 has a U-shaped seating area with dining table as well as a sideboard unit with refrigerator and storage. Open the electric sunroof to let the light into the salon or dine underneath the stars for a romantic evening. Feel empowered at the helm on the main deck behind twin seats and all of the instrumentation and electronics you could ask for. 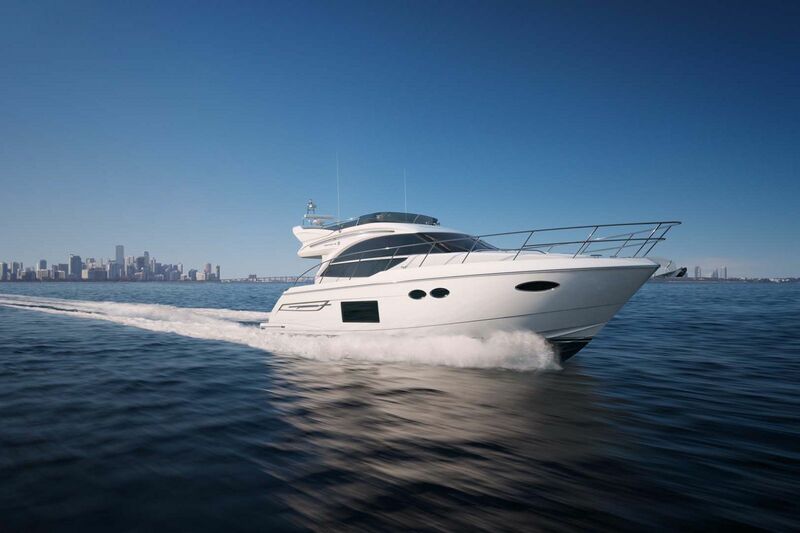 The lower deck of the Princess V50 offers two bedrooms and two heads, each en suite. The master stateroom stretches the full beam of the boat and has a large double bed with lots of drawers and storage throughout the cabin. The second stateroom is placed forward and also features double beds. There is a lower salon between the two staterooms that can also be used for entertaining or even be built as a third cabin if needed. If you would like to learn more about the new Princess Yachts V50, please contact your SI Yachts Sales Professional today. Princess Yachts released this official video trailer of the all-new V50 Open. Princess Yachts released this virtual tour of the new V50 Open. Click the link to explore the new V-class model.